My skills include hair cutting coloring and styling. 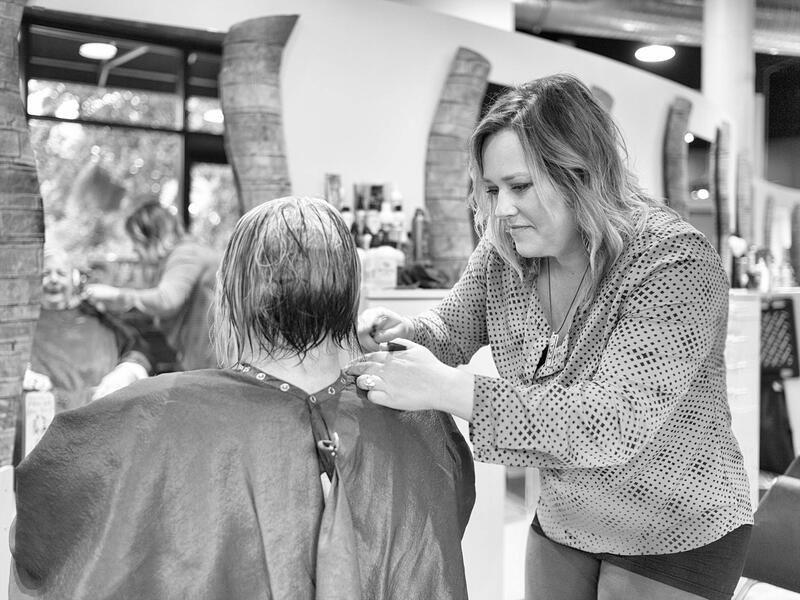 I have been working at Raydiance Salon since we opened in 2005. During this time I have grown in many ways, both in my professional and personal life, which has made this time in my life extremely fulfilling. One of my goals is to continue to work with hair for a very long time. My dedication to education is easy—it’s all around me. I get my inspirations from fashion, show business, magazines, but I also am inspired by my clients… my muses. Continuing my education is a must. I have been fortunate to have amazing training at the Bumble University which has forever changed the way I view my craft. I also learn everyday from the people I work with and by challenging myself to always try new techniques.